The experience of living in cities is universal. As one historian has written: ‘A town is always a town, wherever it is located, in time as well as space.’ The first cities were built in the fertile land between the rivers of the Tigris and the Euphrates in the south of Mesopotamia, part of modern Iraq. When the first city builders set out on their urban experiment thousands of years ago, they created far more than a new man-made environment built of mud bricks. From them emerged the building blocks of civilisation, including essential skills such as writing and mathematics. City dwellers created a new way of being. 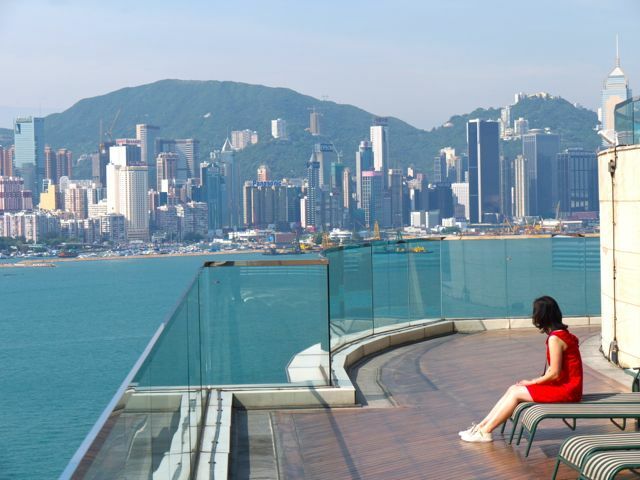 Humanity was reinvented in these pioneering cities. Urban communities formed a revolutionary social and moral order that broke free from the rigid structures – tribes and clans – of the rural world. According to a medieval German saying, ‘Stadtluft macht frei’, city air sets you free. You can be whatever you want to be in a city. Above all, what motivated me to write City was a desire to explore and celebrate what is undoubtedly humankind’s greatest achievement. They are complex and increasingly sophisticated technological environments that (pace Winston Churchill) shape us as we shape them. Heine’s words speak powerfully of the potentiality and sheer concentrated energy of the city: intense, overwhelming, exciting, chaotic, and sometimes more than a little scary. Poets like Heine make the world anew through their work, so that we see it as if for the first time. They make the stone stony, in Viktor Shklovsky’s memorable phrase. I hope my book will reawaken in you, the reader, something of the sense of wonder that Heine felt on seeing London for the first time. Iain Sinclair is right when he says that ‘walking is the best way to explore and exploit the city’. To really understand a city, you need to walk its streets, reading its geography and history through the soles of your feet. My book is designed with this in mind, as a guidebook to an imaginary ‘Everycity’. It will accompany you on your way around those many features of urban life and geography that have been present in cities since the beginning and have become part of our urban genetic code. If you want, you can start on page one and read all the way through to the end. But I have tried to create a book in which you can wander and drift. 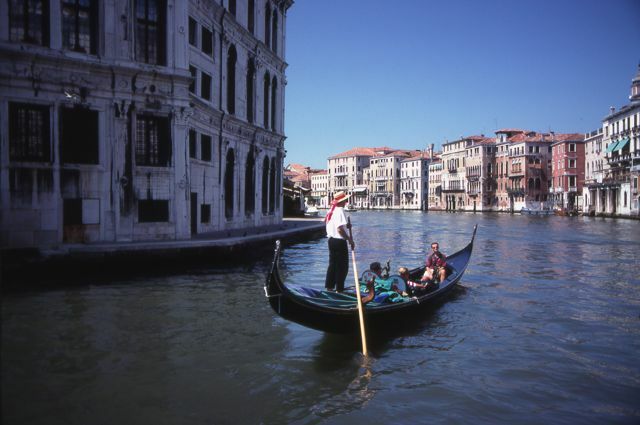 The elements of surprise and discovery are important, just as they are when you explore a real city. Open the book anywhere and begin – there are no set routes. From the Central Station you could strike out to Chinatown or the House of God. Then you could grab some Street Food to eat in the Park before making your way to the Department Store. In the evening you could explore the City and the Stage, or stroll through the Red-Light District, and then head back to your Hotel or Downtown apartment for the night. As in a real city, you can follow any number of pathways through the book. And don’t worry about getting lost. Some say it’s the only way really to experience a city. A book such as City takes quite a while to write. (I’ve been working on it since 2007.) It’s a rich field for research and new material is appearing practically every day as cities evolve and grow. While writing City I came across many fascinating topics, quotations and images that could have been included in the book. In an alternative, Borgesian universe, City might morph into a neverending encyclopaedia of urban wonders. But in what we choose to call the real world, I limited the book to 120,000 or so words. I’m always interested in news about cities. If you have something to share, Twitter is a good way to get in touch. I use the hashtag ♯cities for urban topics. If you want to read some of my reviews and articles on urban themes you can find them by clicking here. You can find photos of some of my favourite cities on my Flickr page. City was published by Bloomsbury on 24 May 2012 in the UK and on 19 June in the US. I hope you like it. You can read an edited extract from the essay on urban infrastructure, "The Wired City", on the website of the Australian Design Review. The audiobook is available from Audible in the UK and the US. In 2014, Colin Marshall interviewed me for his excellent series of podcasts, Notebook on Cities and Culture. We talked for about an hour about our experiences of cities and about my writing. You can download the podcast from his website. I also had a wide-ranging discussion with Rob Ferrett at Wisconsin Public Radio about cities and you can download the programme (about an hour long) here. "The author’s ideas are original and inventive enough to warrant his description of the book as ‘a guidebook to an imaginary Everycity.’ It’s a great thinker whose musings run the gamut from the Aztec capital of Tenochtitlan to Tahrir Square, graffiti to gladiators, who can quote the Old Testament and Baudelaire, and throw in an infographic entitled, ‘When skyscrapers rise, do markets fall?’"
"The city is a big subject but this is readable, concise and extremely entertaining. Smith spans the emergence of the first Middle Eastern cities – places with no streets, so inhabitants needed to walk on roofs and descend ladders to reach their homes – up to informal settlements and high-tech hubs today. Well-researched, well-written and clear." "For every urban coffee table." "The book...is a rich kaleidoscope celebrating urban life in all its aspects... Smith's approach is to take the reader on a series of tours, which are consistently well-written and researched - and impressively eclectic - that reveal his subject matter in myriad small glimpses... Smith's book is at once a hugely enjoyable read and an inspiring vision to aim for." "It’s a remarkable book. Enjoyable and enlightening, City is easy to read but also encyclopaedic in its multi-dimensional journey through urban life." "It is a love song to cities, large and small." "an excellent introduction to the city, and should be on every student's reading list". "[T]he book’s hodgepodge structure excitingly mirrors the improvised order of cities themselves, and Smith encourages his readers to 'wander and drift,' a strategy liable to generate surprising juxtapositions – as between urban birds, which sing at a higher pitch than birds in the country, and the police drones that fly above the streets of Liverpool." "[O]ne of the best books on the city yet..."
"A one-volume overview of a potentially daunting subject, made readable, and even gripping, through fine writing and magazine-like sidebars... Effortlessly flitting from the surprisingly modern grid plans of ancient Chinese cities to the hauntingly timeless-looking ruins of contemporary Detroit, City represents a pain-free – in fact, joyful – survey course on nine millennia (at least) of urban history." "City is one of the best books we have laid eyes on this year." "Highly recommended for anybody who can appreciate cities as more than just the place they commute to." "Reading it is like being seated next to the most-informed, and most charming guest at your dream dinner party, someone with an endless font of facts enlivened by quirky and often hilarious anecdotes." "Mr Smith has written an unapologetic paean, not to any particular city but to the urban idea in general...The result is a sort of high-quality, unusually rigorous coffee-table book, designed to be dipped into rather than read from beginning to end...an excellent introduction to a vast subject". "Migration, food security, global tourism, natural disasters, economic expansion, and war: these are all perennial influences on urban form—and urban futures—and Smith works hard to show their role in shaping the life of what he calls 'the ape that shapes [its] environment, the city builders.'" "A compendious and lavishly illustrated guide to real cities and the ideas they embody". "The overall effect is an energetic tribute to the city rather than a guide or academic study - a celebration of city-ness itself. Smith...writes plainly and with astonishing scope, persistently global and seemingly at home with everything from Mardok to Masdar. The little thematic essays are a joy... With even littler texts boxed in colour and scattered hither and yon, City is a tremendously jazzy, restless book." "From megalopolis to small urban spaces, we cannot deny that the power and influence of cities is truly global, as Smith argues. 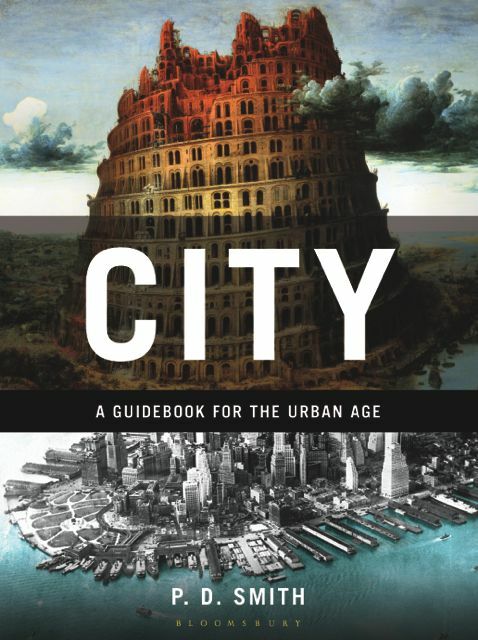 This book is a perfect way to understand the globalised phenomena hidden behind the word 'city'." "I love it... a selection of insanely fascinating sections about cities and how they came to be what they are, what they are and may become, the forces at play inside them and how those forces show themselves in architecture and society. In many ways the perfect brainfood for a writer, and a book you can dip into and immediately get lost in." "...handsome and well-written...the great strength of City is that it gathers in one place myriad themes and angles, providing generalists with a highly readable, pithy resumé of centuries of city-related happenings and trends. Authors such as Alain de Botton and Iain Sinclair have covered similar territory elsewhere, but Smith is less pretentious and and less opaque than either..."
"Witty, eloquent and tellingly concise"
"Smith deftly integrates the narratives of far-flung places across centuries. Discussing sports within city bounds, he draws a connection between the Roman Colosseum and skateboarders in Venice Beach. In this continuum, he creates an uber-city, a grand portrait of what urbanity is and might become." "The range of material is breathtaking, but Smith wears his erudition lightly. The prose of City is smart and fast-paced, with a nice balance between big picture history and close-up details. The book is full of "aha" moments and occasional humor. This one's a must read for history geeks." — Pamela Toler, Shelf Awareness, 29 June 2012. Starred review. — Library Journal, 137, no 6 (1 April 2012): 86-87. Starred review. "The pleasure in reading City comes from moving quickly from subject to subject, skipping one moment from a paragraph on urban cemeteries to another on graffiti, and linking a chapter on hotels to another one on coffee shops...If you have ever loved a city and felt that you belong downtown somewhere, whether in the hot, fragrant roads of Bangkok or the buzzing streets of New York, there's something in PD Smith's City for you...[A] fun, optimistic read that is also highly informative and one that I'll return to as both a reference and for the pleasure of its photographs and curious anecdotes." "Hugely enjoyed @PD_Smith's City, a deep and authoritative anatomisation of the place where most of us now live." "[A]n impressively comprehensive look at this very broad topic...the kind of book that will be of interest both to the general reader and the avowed urbanist." "A thorough and often engaging account of urban life, from the Uruk in Sumer and the Aztec capitol Tenochitlán to Tokyo, currently the planet’s largest burg with 35 million people". "Smith composes a polyphonic paean to our urban past, present and future... As exciting, sprawling and multifarious as a shining city on a hill." — Kirkus Reviews, 15 March 2012. Starred review. Eric Liebetrau, editor of Kirkus Reviews, also included City among his Best Nonfiction of 2012. "Whether evoking the slums of Mumbai, a 1905 dinner party at London’s Savoy Hotel, or the Aztec capital of Tenochtitlán before Cortés conquered it in 1521, Smith proves a lively, learned narrator with a strong synthetic sense. Discursive, imaginative, and comprehensive, his analysis of everything from the Hanging Gardens of Babylon to skateboarding and graffiti should be savored. Read in parts or whole, readers can wander and drift, and enjoy the element of surprise, just as in the exploration of a real city." — Publishers Weekly, 13 February 2012. Starred review.